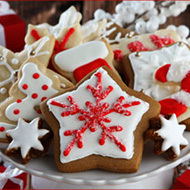 The PTA is looking for a Holiday Cookie Coordinator to manage one of our community’s best holiday traditions. The PTA distributes a box of holiday cookies to every Seth Boyden staff member, including our crossing guards. To make this happen, we need a coordinator to organize cookie donations and a party to package them up. We plan to deliver the boxes on Dec. 20, so it’s time to get started. If you want the job, please contact ptapresident@sethboyden.com. This entry was posted in Community Building, Events, Holidays, PTA, School, Seth Boyden News, Volunteer Opportunities. Bookmark the permalink.